Who is Elizabeth Weil Bergmann? 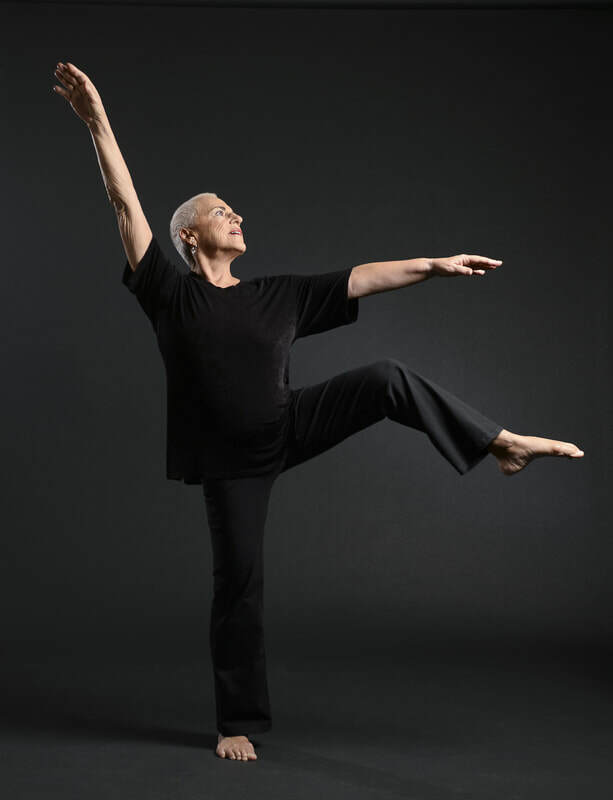 Teacher of such luminaries as Christine Dakin, leading dancer and former director of the Martha Graham Dance Company in New York; Madonna; and Natalie Portman, Bergmann brings her knowledge and keen sense of being able to transmit the joy of moving to these workshops. Bergmann is a graduate of The Juilliard School with an advanced degree from the University of Michigan. She is a successful choreographer, teacher, and dancer and is retired Dance Director at Harvard University. Past experience includes the position of Chair of Dance and resident choreographer at the University of Michigan, Florida International University, California State University at Long Beach, and Shenandoah University. As a Fulbright Scholar to Trinidad, she continues her relationship with Trinidad and Tobago in her current work. Bergmann now resides in Sarasota, Florida where she choreographs for the Sarasota Ballet's Studio Company and performs her one-woman show, "Coming to Myself", which combines her poetry with her dancing. A consummate student herself and an avid believer in the human’ s desire to constantly grow, Bergmann has accomplished the work of Harry Palmer by achieving the rank of Avatar. She has spent 3 years in deep meditation with The Light Works and completed the Accelerated Personal Evolution Program, concentrating on breath work. She successfully opened up the deep well of her own creative spirit and in 1999 published a book, co-authored with Elizabeth Colton, entitled “ Connecting To Creativity: Ten Keys to Unlocking Your Creative Potential” .